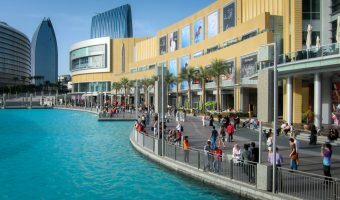 The mall is situated at the Downtown Dubai, a massive development that also includes the world’s tallest building, numerous hotels, plus residential apartments and villas. The Souk Al Bahar is also here and offers more shopping and dining options. The mall boasts four levels; Level LG (lower ground), Level G (ground), Level 1 (first floor), and Level 2 (second floor). They are connected by both lifts and escalators. 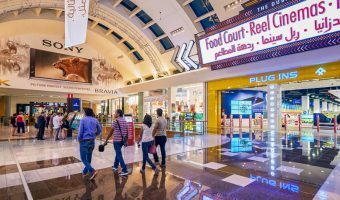 A complete list of stores at The Dubai Mall can be found below. The list is updated regularly. It was last updated on March 1, 2019 . & Other Stories - Women's shoes, fashion accessories and ready-to-wear. 050 Telecom – Mobile telephones, phone cases, and accessories. Abdulla Hussain Khunji Men – Arabic clothing. Abdul Samad Al Qurashi – Arabic perfumes and incense. Abu Dhabi Commercial Bank – Bank branch. Abu Dhabi Islamic Bank – Bank branch. Accessorize – Women’s fashion accessories (bags, jewellery, scarves, gloves, hair accessories, socks, tights, belts etc.). Adidas Young Athletes – Sportswear for children. Adolfo Dominguez – Spanish fashion. Agent Provocateur – British lingerie brand. Alexander McQueen – Fashion for women and men. Alexandre J – French perfume. Al Fardan Exchange – Foreign currency and money transfer services. Ali Al Jazeeri – Arabic menswear. Alina – Baby clothing and nursery products. Al Jazeera Perfumes – Arabic perfumes. Al Khazana – Carpets and rugs, textiles, bed covers, pillow cases etc. Allday Minimart – Convenience store. Al Masroor – Jewellery store. Al Rostamani International Exchange – Money transfers and foreign currency exchange. Al Shareif Gallery – Carpets, textiles, lighting etc. American Eagle Outfitters – Casual fashion for women and men. Aminata Fashion – Women’s accessories. Amorino – Italian ice cream. Anfasic Dokhoon – Arabic fragrances. Annabelle – Ladies pyjamas, nightshirts, loungewear, plus Disney and Marvel pyjamas for kids. Anotah – Fashion for women and girls. Apple Store – iPads, iPhones, Macs and other Apple products. Arabia Horizons Tours – Travel agents. Areej Al Ameerat – Arabic perfumes. Armani Junior – Designer clothes for children. Artizana Ahjar – Arabic womenswear. Athlete’s Co. – Sports and casual footwear (Adidas, Nike, Pub, Skechers etc.). Audemars Piguet – Luxury Swiss watches. Automobili Lamborghini – Lamborghini fashion and accessories. Axiom – Mobile telephones, tablets, and accessories. Babyshop – Children’s clothing, cribs, bedding, strollers, car seats etc. Baccarat – Luxury French brand offering lighting, tableware, and decorative objects. Bally – Women’s shoes, bags, and travel accessories. Balqees Honey – Honey from Yemen. Banana Republic – Fashion for women and men. Bang & Olufsen – TVs, speakers, sound systems, home installations etc. Baskin Robbins – Ice cream. Baume & Mercier – Luxury Swiss watches. Be Fit – Exercise equipment. Berluti – Luxury men’s shoes and accessories. Bershka – Fashion for women and men. Billionaire – Italian womenswear and menswear. Bliss Jewel – Jewellery store. Bloomingdale’s – Upscale department store. Bon Chic – Arabic womenswear. Borders – Books, stationery, games, and toys. Bose – Home entertainment systems, speakers, and audio equipment. Bottega Veneta – Luxury Italian leather accessories. Boutique Ayla – Women’s occasion and evening wear. Braccialini – Italian bags and accessories for women. Bric’s – Luxury Italian luggage, bags, and travel accessories. Bumble Bee – Childrenswear, nursery furniture, strollers, car seats, maternity wear etc. Burberry - British fashion label best known for its signature tartan pattern. Bvlgari – Jewellery, watches, bags, wallets, accessories, and other luxury goods. Camicissima – Men’s shirts and fashion from Italy. Canali – Italian menswear and accessories. Candy Hearts – Confectionery kiosk. Candylicious – Huge candy store opposite the Dubai Aquarium. Canon – Cameras, lenses, photography equipment, camcorders, printers, and scanners. Canvas Art Store – Art supplies. Cartier – Jewellery, watches, and accessories. Casa Pons – Quality nuts and dried fruit. CAT – Footwear and clothing. Cesare Paciotti – Italian footwear and accessories. Chanel – Fashion, jewellery, watches, fragrances, and beauty products. CH Carolina Herrera – Fashion for women, men, and children. Chicco – Italian brand offering a complete range of products for babies, children and parents. Christian Louboutin – Luxury French footwear. Christofle – French cutlery, tableware, lighting, decorative items etc. Claire’s – Jewellery and accessories including earrings, necklaces, purses, bags, hats, scarves, and hair clips. Clarks Kids – Children’s shoes. Cocoon Trend – Evening dresses. Condotti – Italian luggage and travel accessories. Courcelles – Designer clothing for children. Crystal Gallery – Handcrafted crystal products. Damiani – Handmade Italian jewellery. Dani by Daniel K – Jewellery by designer Daniel Koren. Dari Home – Kitchen products (cookware, cutlery etc.). De Grisogono – Jewellery and watches. Design 971 – Boutique showcasing the work of local fashion designers. Desigual – Spanish fashion label offering clothes and accessories for women, men, and children. Devji Aurum – Handcrafted jewellery. Dhamani 1969 – Jewellery and watches. Diesel Kids – Designer clothes for children. DigiPhoto Studio – Photo printing, enlargements, printing on mugs and t-shirts, passport photos etc. Dior – French fashion house. Diptyque – Perfumes, fragrances, skincare products etc. Dirham 4U – Mobile phone repairs, shoe repairs, watch repairs, key cutting etc. Dirk Bikkembergs – Belgian fashion designer. Discover Dubai – Gifts and souvenirs. DKNY – New York fashion house offering apparel for men and women. Dorothy Perkins – British womenswear store. Dubai Islamic Bank – Bank branch. E-City – Electronics store offering smartphones, tablets, laptops, televisions, cameras, games consoles, and more. Elie Saab – Womenswear by Lebanese fashion designer Elie Saab. Emad Carpet Trading – Oriental carpets. Emax – Electronics and IT. Emirates Islamic Bank – Bank branch. 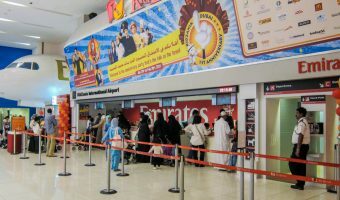 Emirates Official Store – Emirates branded merchandise. Ermanno Scervino – Italian fashion. Ermenegildo Zegna – Italian menswear. Eros – Electronics and home appliances. Ethan Allen – Home furnishings and décor. Fabi – Shoes for men, women, and children. Fendi – Italian fashion house best known for its ‘Baguette’ handbag. Foot Solutions - Orthopaedic shoes. Forrey & Galland – Luxury chocolates. Franck Muller – Swiss watchmaker. G-Star Raw – Innovative denim clothing. Galerie Hamadan – Carpets, fabrics, bedding etc. Galeries Lafayette – French department store. Georg Jensen – Danish jewellery, watches, and home products. Geox – Footwear and clothing for men and women. Gina – Designer shoes for women from London. Giuseppe Zanotti Design – Italian footwear. Global Feet – Shoes for men, women, and children. Golf House – Golf clubs and equipment, clothing, and accessories. Go Sport – Multi-brand sports store. Gymboree – Clothes for children, toddlers, and babies. H&M Details – Fashion accessories, bags, shoes, lingerie etc. Habayeb – Abayas and sheilas. Harman House – Audio and video products. Harmont & Blaine – Casual clothing. Heritage Carpet – Handmade carpets. Hermes – French luxury goods including fashion accessories, footwear, leather goods, fragrances, watches, and jewellery. Historyland Studios – Photo sessions of customers dressed in historical costumes. Hour Choice – Branded watches (Timberland, Anne Klein, Calvin Klein, Lacoste, Juicy Couture etc.). House of Amber – Amber jewellery. Il Gufo – Italian childrenswear. I Love Dubai – Gifts and souvenir shop. Indian Emporium – Indian textiles, shawls, kaftans etc. IWC Schaffhausen – Swiss watchmaker. Izil Beauty – Moroccan beauty products. Jacadi – French brand offering clothes for children and babies. Jack Wills – British fashion label. Jimmy Choo – Designer shoes and accessories. Jo Malone – Perfumes, oils, body and hand lotions, soaps etc. Jumbo – Electronics, IT, home appliances etc. Justice – Fashion for teenage girls. K-Lynn Bridal – Bridal lingerie. Kenkoh – Japanese health footwear. Khan Al Saboun – Soaps, skincare products, hair products etc. Kid’s Puzzle – Designer childrenswear. Kiddie Kruzzer – Stroller rentals. Kido Caractere – Children’s hair and beauty salon. King of Gaharu – Arabic fragrances. Korloff – French jewellery and watches. L’Amour – Abayas and sheilas. La Cure Gourmande – Biscuits, chocolates, and confectionery. La Marquise – Jewellery and watches. La Martina – Polo-inspired fashion from Argentina. La Perla – Lingerie, nightwear, and beachwear. Laura Ashley Home – Home furnishings and décor. La Vie en Rose – Canadian lingerie, sleepwear, and beachwear. Le Boudoir d’Eden – Fashion accessories. Level Shoes – Huge multi-brand shoe store. LG – Home appliances (washing machines, fridges, freezers etc. ), TVs, home entertainment systems, and mobile phones. Little Angels – Designer clothes for children. LM Exchange – Foreign currency exchange and money transfers. Loewe – Spanish accessories brand. Loft Fifth Avenue – Hair and beauty salon. Longchamp – French luxury brand offering luggage, handbags, bags, and accessories. Lookswoow Dental Clinic – Dental clinic offering a full range of services including teeth whitening, veneers, braces, and implants. Louis Feraud – French fashion designer. Louis Vuitton – Luxury handbags, luggage, and accessories. Magrabi Kids – Children’s opticians. Majestic Kids – Designer clothes for children. Make Up For Ever – Cosmetics. Mall Mart – Convenience store. Mamas & Papas – Nursery and baby store. Marchesa – Womenswear by designers Georgina Chapman and Keren Craig. Maria Pino – Women’s footwear and accessories. Marina Home – Home furnishings. Marina Rinaldi – Fashion for larger women. Marlu – Italian brand offering clothes for babies and children. Mashreq Bank – Bank branch. Max Mara – Italian womenswear. MCM – Leather goods and travel accessories. Mehreen Gallery – Textiles, bags, shawls, scarves etc. Minutes – Shoe repairs, watch repairs, engraving etc. Miu Miu – Women’s clothing and accessories. Molton Brown – Toiletries, bath and shower gels, soaps, scrubs, hand washes and lotions, candles, gift sets etc. Montblanc – Luxury pens, watches, leather goods, fragrances, eyewear, and accessories. Monte Bianco – Arabic clothing. Mosafer – Luggage, bags, wallets, travel accessories etc. Neal’s Yard Remedies – Organic skincare, bath, and body products. Neck & Neck – Childrenswear. Nest Home Living – Home decor. New Balance – Sports footwear and apparel. Nicoli – Crystal-embellished footwear and handbags. Obagi MediSpa – Anti-aging treatments. Officine Panerai – Swiss watchmaker. Opty Sport – Sports eyewear (driving, cycling, winter sports, swimming, scuba diving etc.). Orient Exchange – Foreign currency exchange. Ortopus – Orthopaedic shoes for children. Oscar de la Renta – Womenswear. Otto Kern – German menswear. Oysho – Spanish lingerie, sleepwear, beachwear, and accessories. Paperchase – Stationery, greeting cards, and art materials. Parah – Italian lingerie and swimwear. Parfois – Women’s bags, hats, jewellery, and fashion accessories. Patek Philippe – Swiss watchmaker. Patrizia Pepe – Italian fashion. Paul & Shark – Fashion for women and men. Paule Ka – French ladieswear. Paul Smith – Menswear by British designer Paul Smith. Persian Carpet House – Handmade carpets. Petra Cosmetics – Natural skincare products (face and body scrubs, hand creams etc.). Philipp Plein – German fashion label. Piaget – Watches and jewellery. Pink Cat – Gifts, souvenirs, toys etc. Pinocchio World – Handcrafted wooden toys and gifts. Pottery Barn and Pottery Barn Kids – Home furnishings, décor, lighting etc. Prada – Italian fashion house offering handbags, shoes, wallets, jewellery, and accessories. Primadonna Collection – Women’s shoes and accessories. Pull&Bear – Youth-oriented Spanish fashion brand. Pure Gold – Jewellery store. Rag and Bone – Fashion for men and women. Redha Al Ansari Exchange – Foreign currency. RedRock – Educational software and electronics. Rene Caovilla – Women’s shoes and accessories. Rigby & Peller – Lingerie, underwear, swimwear, beachwear etc. Ripani – Italian leather bags and accessories. River Woods – American casualwear for women and men. Roberto Coin – Italian jewellery. Roger Dubuis – Swiss watchmaker. Roger Vivier – Women’s footwear, bags and fashion accessories by French designer Roger Vivier. Sadek Music Center – Musical instruments. Safe Mobility – Offers rentals of mobility chairs, wheelchairs, and strollers. Saiid Kobeisy – Womenswear by Lebanese designer Saiid Kobeisy. Saint Laurent Paris – Men’s and women’s collections. Salem Alta Moda – Fabric store. Salsa Jeans – Portuguese fashion label. Salvatore Ferragamo – Italian luxury goods label offering footwear, bags, handbags, jewellery, and accessories. Samsung – TVs, mobile telephones, cameras, IT, and home appliances. Scuderia Ferrari – Ferrari merchandise. Seddiqi & Sons – Luxury watches. Segue – Italian bags and luggage. ShooBeDoo – Designer shoes for children. Sisters Beauty Lounge – Beauty salon. Solaris – Designer sunglasses (Gucci, Cartier, Ray-Ban, Dior etc.). Sony – Sony products (TVs, mobile phones, cameras etc.). Standard Chartered - Bank branch. Stitch In Time – Clothing repairs and alterations. Studio 8 – Contemporary Arabic womenswear by designers from the Middle East and Asia. Symphony – Designer clothes for women. TAF Kids – Trainers for children. Tarsam – Gadgets and electronics. Temperley – Womenswear by British designer Alice Temperley. Tempur – Mattresses and pillows. The Aquarium Store – Dubai Aquarium merchandise. The Children’s Place – Clothes, shoes and accessories for children, toddlers, and babies. The Intermix Gems – Jewellery. The Little Things – Gifts, collectables, toys, gadgets etc. The Nail Spa – Manicures, pedicures, waxing, threading etc. The Noble Collection – Collectibles, replica swords and knives, movie and TV merchandise etc. The Spirit of Dubai – Fragrances. Think Kitchen – Dinnerware, cookware, kitchen tools etc. Thomas Sabo – Silver jewellery and watches. Tiffany & Co. – Jewellery, watches, gifts, and accessories. Timberland – Footwear, clothing, and accessories. Tommy Hilfiger Kids – Childrenswear. TOMS – Shoes, bags, and eyewear. For each product purchased a donation is made to a person in need. Tous – Spanish jewellery, gifts, accessories, bags etc. True Religion Brand Jeans (TRBJ) – Fashion. Trendy Time – Budget watches. Tumi – Suitcases, duffel bags, backpacks, briefcases, wallets, card cases, belts, umbrellas, and other accessories. UAE Exchange – Foreign currency exchange and money transfer services. Ulysse Nardin – Swiss watchmaker. Umberto Bilancioni – Italian fashion. Vacheron Constantin – Swiss watchmaker. Van Cleef & Arpels – Jewellery and watches. Victoria’s Secret – Women’s underwear, lingerie, swimwear etc. Vilebrequin – Swimwear and beachwear. Virgin Megastore – DVDs, CDs, games consoles and games, electronics, books, stationery, fashion, and concert tickets. Vista Vision – Branded sunglasses. Wall Street Exchange – Currency exchange and money transfers. Watch Corner – Branded watches. Watch Gallery – Store offering various brands of Swiss watches. West Elm – Home furnishings, lighting, bedding, textiles etc. Women’secret – Lingerie and underwear. Wood & Copper – Gifts and souvenirs. World of Pets – Pet shop. Wow – Women’s beauty salon. Yas Perfumes – Arabic perfumes. Yves Delorme – Bedding shop. Zadig & Voltaire – Fashion. Zara Home – Furnishings and homewares. Z Generation – Children’s clothes. Zwilling J.A. Henckels – Kitchen knives, cookware, and cutlery. 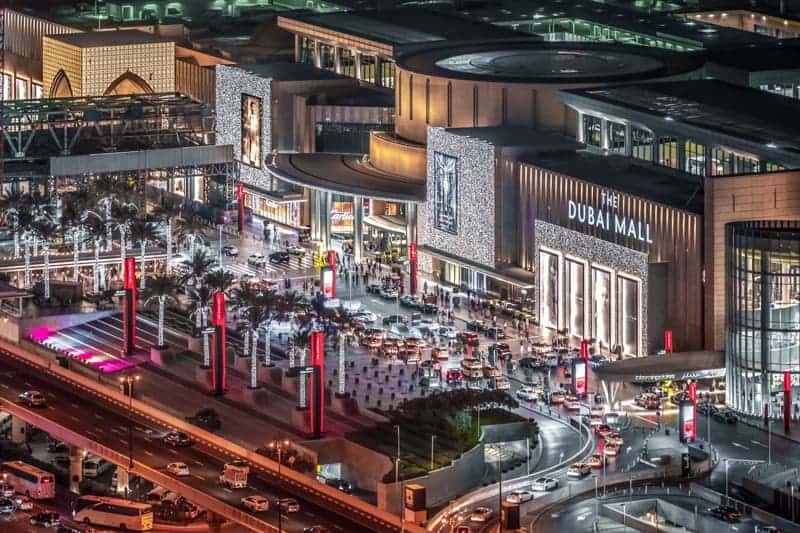 Anchor stores at the Dubai Mall are Bloomingdale’s, Galeries Lafayette, Debenhams, Marks & Spencer, and Paris Gallery. Galeries Lafayette is a luxury French department store. Departments include women’s fashion, men’s fashion, cosmetics and fragrances, jewellery and watches, and home interiors. With a floor area of 215,000 square feet, spread over three floors of the Dubai Mall, it is the largest department store in Dubai. Women’s fashion is particularly impressive. Brands stocked include 7 For All Mankind, Armani Jeans, Cavalli Class, Hoss Intropia, Juicy Couture, Karen Millen, Manoush, Missoni, Pinko, Reiss, Sonia by Sonia Rykiel, Ted Baker, and True Religion. Bloomingdale’s at the Dubai Mall is the US department store’s first international venture. There are two parts to the store; a 146,000 square foot main store with 3 storeys (Level G to Level 2) and a 54,000 square foot home store on Level LG. Departments in the main store include beauty and fragrances, fine jewellery and watches, men’s and women’s footwear, plus men’s, women’s, and children’s fashion. The home store offers furniture, textiles, glassware, ceramics and decorative items. Fashion Avenue runs along the southern edge of the mall and is home to the largest collection of prestigious fashion retailers in Dubai. Over 70 stores occupy an area of over 44,000 square feet, spread over Level G and Level 1. 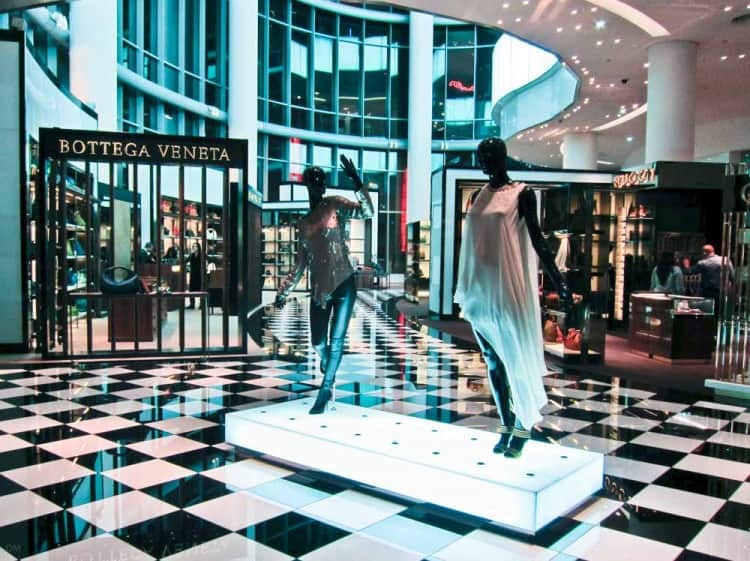 Stores on the ground floor include Jimmy Choo, Alexander McQueen, Christian Louboutin, Valentino, Roberto Cavalli, Burberry, Stella McCartney, Oscar de la Renta, Tom Ford, Versace, Louis Vuitton, Gucci, Chanel, and Dior. Shops on Level 1 include Paul & Shark, Agent Provocateur, Hackett, Just Cavalli, Moschino, Elie Saab, Hugo Boss, and Karl Lagerfeld. The Grand Atrium is home to a number of luxury jewellers and watchmakers. Stores here include Cartier, Bvlgari, Chopard, Patek Philippe, Rolex, Breguet, Hermes, and Tiffany & Co. Most malls in Dubai boast a supermarket and the one here is Waitrose. The 55,000 square foot store is situated on Level LG and is the UK supermarket chain’s first international store. Its product range includes fresh fish and meat, fruit and vegetables, cheese, frozen produce, bread and pastries, and household products. Kinokuniya is a huge bookstore on Level 2 of the mall. It moved from a larger location in 2017 but is still the biggest bookstore in the UAE. Departments include English magazines, literature, travel, history, computers, business and management, children, hobbies and craft, food and drink, Arabic books, foreign languages, art and design, comics, and performing arts. The Virgin Megastore is the best place in the mall to buy music CDs, DVDs and Blu-ray Disks, and books. The store also stocks a good range of electronic products including games consoles (Nintendo Switch, PS4, Xbox 360 etc.) and games, mobile phones, and MacBooks. Tickets for many concerts and events in Dubai can also be purchased here. Hamleys, the world-famous toy retailer, opened their first store in the UAE at the Dubai Mall. The 32,000 square foot store stocks a huge range of premium toys, gifts and gadgets. It also offers regular workshops and activities, plus events where children can meet their favourite cartoon characters. The store is located on Level 2, near KidZania. 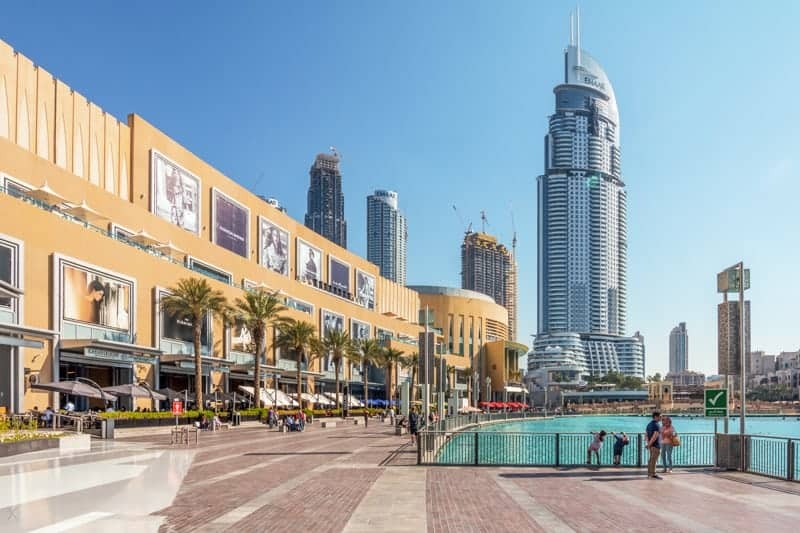 Restaurants, cafes, and fast food outlets at The Dubai Mall are listed below. % Arabica (Ground) – Japanese coffeehouse. Al Forno (Level 1) – Italian restaurant. Balcony boasts good view of the Burj Khalifa. Al Hallab (Level 2) – Lebanese restaurant. Balcony seating area offers views of the Burj Khalifa and Dubai Fountain. Alison Nelson’s Chocolate Bar (Ground) – Cafe next to the Dubai Ice Rink. Angelina (Ground) – French cafe with amazing interior. Situated near Fashion Avenue. Aubaine (Ground) – French bistro. Awani (Level 2) – Arabic restaurant near Hamleys. Booba (Level 2) – Bubble tea. Burger King (Level 2 Food Court) – Burgers and fries. Caffe Nero (Ground) – Coffeehouse next to the Dubai Ice Rink. Cafe Bateel (LG) – European/Arabic restaurant with good views of the Dubai Mall Waterfall. Cafe Blanc (LG) – Lebanese restaurant. Features an outdoor terrace with views of the Burj Khalifa Lake. California Pizza Kitchen (LG) – Pizzas, pasta, and salads. Outdoor terrace boasts views of the Burj Khalifa Lake and Souk Al Bahar. Caribou Coffee (several locations) – Coffee, croissants, sandwiches, salads, muffins, cheesecakes etc. Carluccio’s (LG) – Italian restaurant. Terraced area offers views of the Dubai Fountain. Cereal Killer Café (Ground) – Offers more than 100 types of breakfast cereal. Views of the Dubai Mall Waterfall. Charleys (Level 2 Food Court) – Grilled subs and fries. Coffeol (Ground) – Coffee shop near Bloomingdale’s. Cold Stone Creamery (Level 2) – Ice cream and desserts. Costa Coffee (several locations) – Coffeehouse. Debonairs Pizza (LG Food Court) – Pizza. Delifrance (Level 1) – French bakery/cafe near the Dubai Mall Waterfall. Dish/Dash (LG) – Arabic grill with views of the Dubai Fountain. Dome (Level 1) – Cafe near the Dubai Ice Rink. Doner Kebab (Level 2 Food Court) – Kebabs. Eataly (LG) – Italian restaurant and food market. Eat Greek (LG) – Greek restaurant. Elevation Burger (Ground) – Burger restaurant with views of the Dubai Ice Rink. Entrecote Cafe de Paris (LG) – French restaurant with outstanding views of the Dubai Mall Waterfall. Espressamente Illy (Ground) – Coffeehouse near Fashion Avenue. Fatburger (LG Food Court) – Burgers, hotdogs, fried chicken, milkshakes etc. Five Guys (LG) – Gourmet burger restaurant. Terrace offers views of the Burj Khalifa Lake, Dubai Fountain, Souk Al Bahar, and Burj Khalifa. Fujiyama (Level 2 Food Court) – Japanese. Galeries Lafayette Le Gourmet (Level 2) – Department store restaurant offering dishes from around the world. Garrett Gold (LG) – Popcorn creations..
Gloria Jeans Coffee (several locations) – Coffee shop. Good Food Coffee & Bakery (Level 2) – Specialises in chimney cakes. Grand Cafe Boulevard (LG) – Large two-level Lebanese restaurant with opulent interior. Granny’s Waffles (Level 2) – Cafe serving waffles, pancakes, ice cream, and desserts. 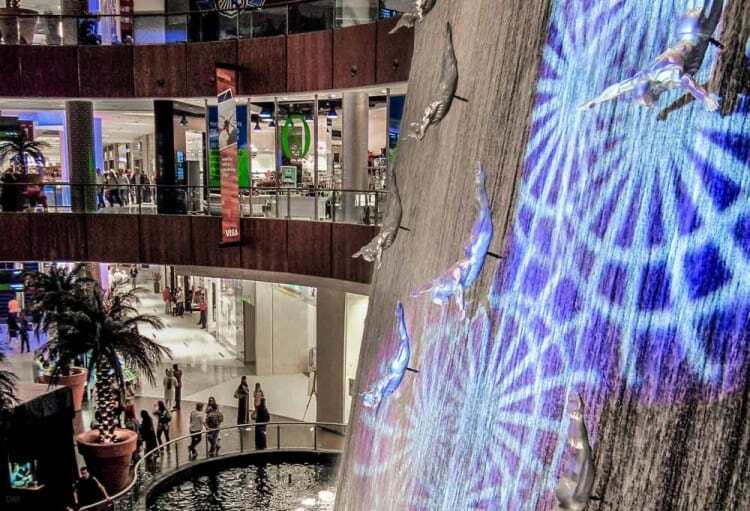 Boasts views of the Dubai Mall Waterfall. Grill Shack (Level 2 Food Court) – Steaks and burgers. Haagen Dazs (several locations) – Ice cream and desserts. Hatam (Level 2 Food Court) – Iranian fast food. Hummingbird Bakery (LG) – Cakes, muffins, and desserts. IHOP (Level 1) – International House of Pancakes offers pancakes, omelettes, French toast, waffles, crepes, soup, burgers, desserts, ice cream etc. India Palace Express (LG Food Court) – Indian. Joe’s Cafe (Level 1) – European restaurant. Balcony dining area overlooks the Dubai Fountain. Joe’s Crab Shack (Level 1) – American seafood restaurant offering fried platters, buckets of crab, fish sandwiches etc. Located near the Dubai Aquarium. Jollibee (Level 2 Food Court) – Burgers, chicken sandwiches, fried chicken, hotdogs etc. Juicy Fruity (LG) – Juices. Karam Beirut (LG) – Lebanese restaurant. Karam Express (Level 2 Food Court) – Lebanese. Kebab Grill 44 (Level 2 Food Court) – Indian. KFC (Level 2 Food Court) – Fried chicken. Krispy Kreme (Level 2 Food Court) – Doughnuts. Laduree (Level 1) – French cafe offering macarons, croissants, cakes, pastries, ice cream, tea, and coffee. Situated close to Fashion Avenue. Le Pain Quotidien (LG) – Cafe and organic bakery. London Fish And Chips (Level 2 Food Court) – English fish and chips. Mado (Ground) – Turkish cafe. Magic Wok (Level 2 Food Court) – Chinese. Man’oushe Street (Level 2 Food Court) – Arabic. Manga Sushi (Level 1) – Japanese restaurant and sushi bar. Markette (Ground) – International cafe with open kitchen. Located close to the Dubai Aquarium. McDonald’s (Level 2 Food Court) – Burgers, fries, salads etc. Morelli’s Gelato (LG) – Desserts, ice cream, waffles, croissants etc. New York Fries (Level 2 Food Court) – Fries with toppings. Noon & Kabab (Level 2 Food Court) – Persian fast food. P.F. Chang’s (LG) – American Chinese restaurant. Pad Thai (Level 2 Food Court) – Thai fast food. Panda Chinese (Level 2 Food Court) – Chinese fast food. Pappa Roti (several locations) – Coated buns. Parker’s (Level 2) – Concept restaurant. Find a key to enter. Pars (Level 2 Food Court) – Iranian. Paul (Ground) – French cafe and bakery. Pinkberry (Ground) – Frozen yoghurts and smoothies. Pizza Hut (Level 2 Food Court) – Pizza and pasta. Rainforest Cafe (Ground) – Family-friendly restaurant with a fantastic interior resembling a tropical rainforest (waterfalls, vegetation, animals etc.). Located near the Dubai Aquarium. Red Lobster (LG) – American seafood restaurant. Outdoor terrace overlooks the Burj Khalifa Lake. Rubicons Coffee (Level 2) – Coffee and tea, milkshakes, fruit drinks, sandwiches, salads, and pastries. Scoozi (LG) – Restaurant offering both Italian and Japanese cuisines. Outdoor seating area offers view of the Dubai Fountain. Shake Shack (Level 1) – Burgers, hot dogs, fries, shakes etc. Overlooks the Dubai Waterfall. Shakespeare and Co. (Level 1) – Breakfast, crepes, soup, salads, sandwiches etc. Shamiana (Level 2 Food Court) – Indian. Social House (LG) – Large restaurant offering dishes from around the world. Outdoor terrace offers good view of the Dubai Fountain. Soy Restaurant (Level 2 Food Court) – Chinese/Thai. Spice Bowl (LG) – Asian restaurant. Spoon & Glaze (Level 2) – Desserts. Starbucks (several locations) – Coffee. Subway (several locations) – Subs. Sugoi! (Level 2 Food Court) – Japanese (sushi, teppanyaki etc.). Switch (Ground) – American restaurant with colourful, futuristic interior. Located near the Dubai Ice Rink. Taqado (Level 2 Food Court) – Mexican. Taza (Level 2 Food Court) – Chicken and burgers. Texas Chicken (Level 2 Food Court) – Fried chicken. Texas Roadhouse (LG) – American steakhouse. Outdoor seating area has views of the Burj Khalifa. TGI Fridays (Level 2) - American/Tex-Mex/Italian restaurant. Balcony offers excellent view of the Dubai Fountain and Burj Khalifa. The Cheesecake Factory (Ground) – American/European menu. Located close to the Dubai Aquarium. Third Avenue Cafe (First) – International restaurant located on Fashion Avenue. Balcony seating area offers good views of the Dubai Fountain and Burj Khalifa. Tim Hortons (several locations) - Breakfast, wraps, sandwiches etc. Tribes (Level 2) – African/Moroccan restaurant. TWG Tea (Ground) – Afternoon tea and more. Near the Dubai Mall Waterfall. Vanellis (Level 2 Food Court) – Pizzas and pasta. Vogue Cafe (Ground) – Cafe inside the Level Shoes. Wafi Gourmet (LG) – Very popular Lebanese restaurant. Outdoor seating area has views of the Dubai Fountain. Yalla Saj (Level 2 Food Court) – Lebanese. Yamanote Atelier (LG) – Japanese bakery and cafe. Yo! Sushi (LG) – Japanese restaurant near the Dubai Mall Waterfall. Yogurtland (several locations) – Yoghurt with a variety of toppings. Yummy Waffles (Level 2) – Belgian waffles. Zaatar W Zeit (LG Food Court) – Lebanese. Zaytoni (LG) – Arabic restaurant. Most of the sit-down restaurants are situated on the southern side of the mall. Many have views of the Burj Khalifa Lake and the Dubai Fountain. 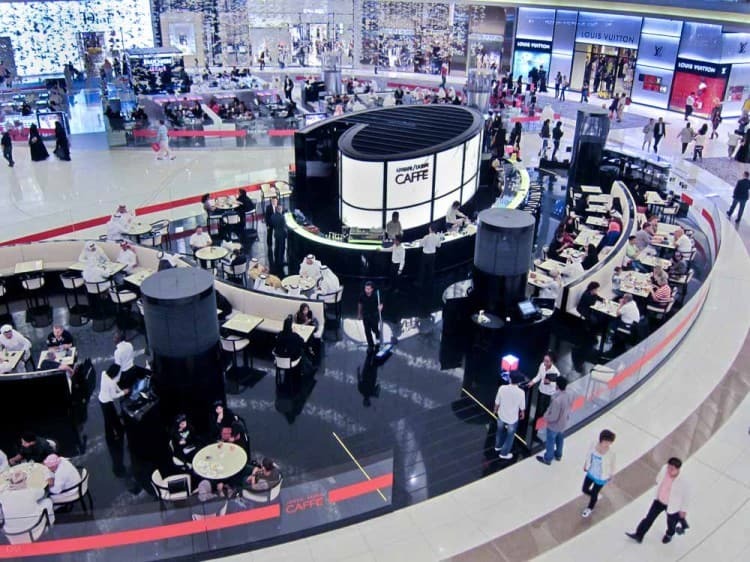 There are two main food courts at the Dubai Mall; one on Level 2 and the other on Level LG. The food court on Level 2 is the largest. It is convenient for those visiting attractions such as the Reel Cinema or KidZania. In addition to a huge selection of shops, the Dubai Mall is also home to some of Dubai’s top tourist attractions. The Dubai Ice Rink is the biggest ice skating rink in the city. Public skating sessions are held every day of the week. Evening disco sessions are also offered. The Burj Khalifa, located right next to the mall, is currently the tallest building in the world. 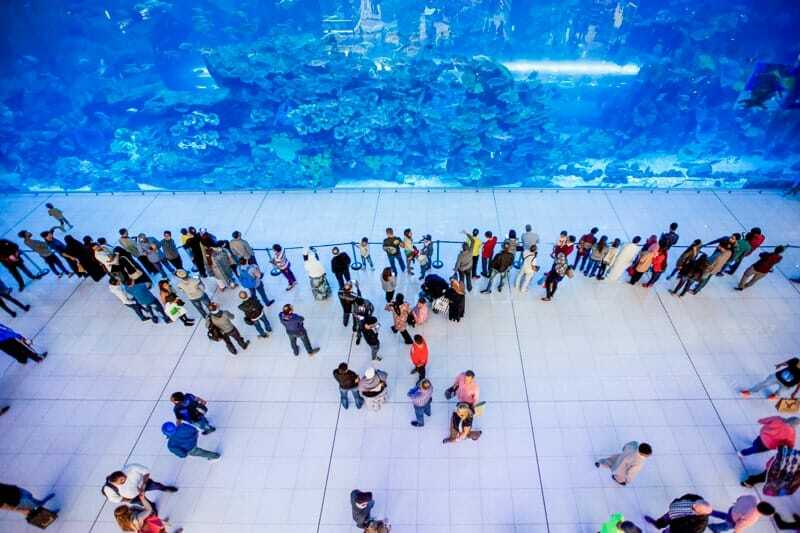 Visitors wishing to take a trip to its observation deck begin their journey in the Dubai Mall. KidZania is a children’s edutainment theme park on Level 2 of the Dubai Mall. It offers youngsters the opportunity to experience adult life through role play in a mini-city with streets, shops, restaurants and other businesses. 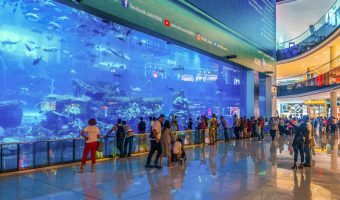 The Dubai Aquarium is one of the largest indoor aquariums in the world and is home to more than 30,000 aquatic animals. Much of the aquarium can be seen for free from the mall. Paying visitors get to walk through the aquarium tunnel and see additional species in the zoo. The Dubai Fountain is the world’s largest musical fountain and the city’s most popular free tourist attraction. Performances are held every day. It’s located on the Burj Khalifa Lake, right outside the Dubai Mall. 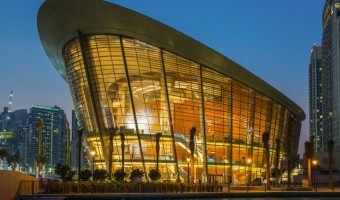 This 26-screen multiplex cinema is the biggest in Dubai. It offers a variety of movie experiences. This simulator offers members of the public the chance to try their hands at flying the Airbus A380, the world’s largest passenger airliner. Participants can select airports, flight paths, weather conditions, and more. The simulation lasts 30 minutes. All the shops and attractions at the Dubai Mall are open 7 days a week. Current opening times for the stores are Monday to Thursday 10 am to 11 pm, and Friday to Sunday 10 am to midnight. Evening performances of the Dubai Fountain start at 6 pm and run every half hour until 11 pm. There are also afternoon shows at 1 pm and 1.30 pm (Fridays 1.30 pm and 2 pm). Information desks are located throughout the mall and offer maps of the Dubai Mall and store listings. Facilities and services include toilets, free WiFi, baby changing rooms, prayer rooms, plus wheelchair and stroller hire. Every taxi driver in Dubai will know how to get to the Dubai Mall. Departing by taxi is easy. The main taxi rank is situated on the ground floor close to the Waitrose supermarket. 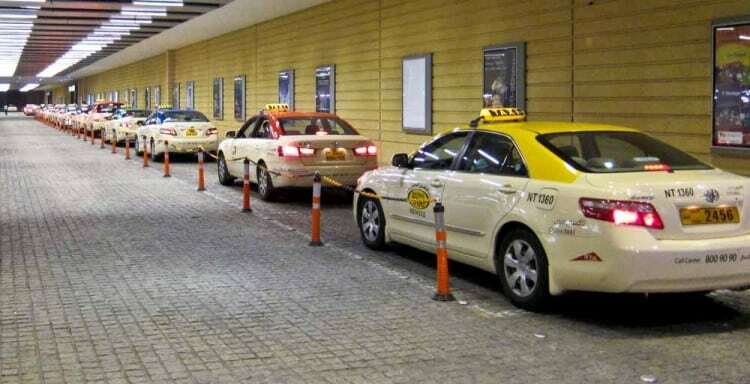 There’s always a huge line of taxis waiting to pick up passengers. There’s no need to book. 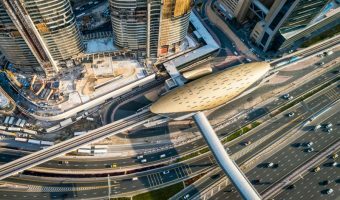 Visitors arriving by car should leave Sheikh Zayed Road at Interchange 1 and take Financial Centre Road (previously Doha Street) to the Dubai Mall. It is clearly signposted. The mall boasts spaces for over 14,000 vehicles in three multi-storey car parks; Grand Parking, Fashion Parking, and Cinema Parking. Valet parking and car washing services are available. The nearest Metro station is Burj Khalifa Dubai Mall. It is a Red Line station. It’s a fair distance from the station to the mall. The Metro Link Bridge opened in 2012 and connects the station directly to the mall. It’s enclosed and fully air-conditioned and features airport-style travellators. Walking the ½ mile walkway take around 10 minutes. Those not wishing to walk, can take a feeder bus from the Metro station to the mall. Bus service 27 goes to the Dubai Mall and departs from the Gold Souk Bus Station in Deira. 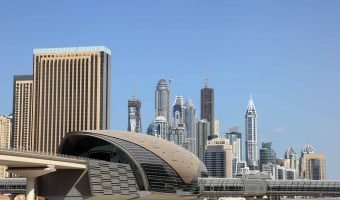 Hotels near the Dubai Mall include The Armani Hotel Dubai, Manzil Downtown Dubai, The Address Dubai Mall, The Palace Downtown Dubai, Vida Downtown Dubai, The Address Boulevard Dubai, and Rove Downtown Dubai. Map showing location of The Dubai Mall. is there any victoria secret outlet in duabi mall? 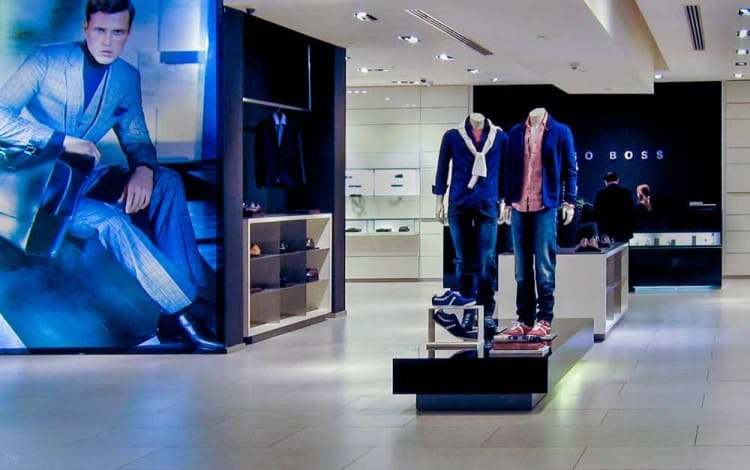 French fashion retailer The Kooples has opened a new store at the Dubai Mall. The mall is worth coming to whether you want to shop are not. Shops are mainly international global brands so don’t expect to find anything you couldn’t find in any other major mall around the world. It is just a bit more convenient here. Everything is under one roof. Prices aren’t particularly very good though, so don’t expect any bargains. The place is huge and you could easily spend a few days here just looking around the shops and the attractions. It is worth emphasizing that the Dubai Mall is not just a shopping mall. There is so much to do here even if you are not interested in shopping. There is a great musical fountain, and cool aquarium, ice rink, the biggest skyscraper in the world, and lots more. Go and see it for yourself. You will almost certainly see nothing else like it anywhere. The mall is huge and the biggest in the world. It has every shop you can think of and more, plus a whole load of attractions. There are also plenty of places to eat, but mainly US and British chain restaurants and relatively few places serving local food. You would need a couple of days if not a week to experience everything here. The mall is enormous and even makes most of the US malls look small. Prices are not particularly cheap. I didn’t see many real bargains but it was a good place to visit nevertheless. Don’t forget about the fountain show. It was great and free. Which restaurants at the Dubai Mall serve alcohol? The ones at the mall don’t have licenses as far as I am aware. However, most of those at Souk Al Bahar (just across the bridge) do. This is an absolutely enormous mall with lots of things to do. Shops are organised loosely by type so it makes it easier to find what you are looking for. There are lots of places to eat, both cheap food halls and expensive restaurants. The fountain outside is well worth a look. Massive real estate development home to the Dubai Mall and the Burj Khalifa.